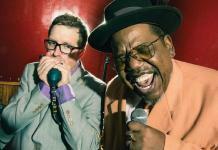 There's a new sound coming from Memphis, but it's as familiar as mom's cooking. 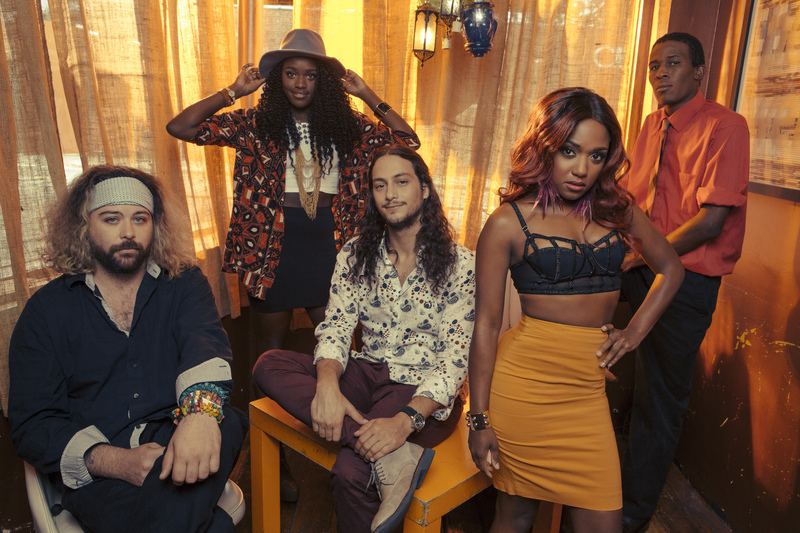 The Memphis based quintet, Southern Avenue, is set to release their eponymous debut album on February 24th. Dropping on the legendary Stax label (a member of the Concord Music Group), it’s tagged as a blues album. It is, however, much more. The Bluff City has always been recognized as a musical Mecca. A sacred place, to which blues, soul, R&B, rock and roll, and Gospel pilgrims would journey. The shrines of Stax, Sun, and Royal recorded their heavenly sounds for the world to hear. So it is that these young prophets have gathered, from far and wide, adding to the very voice of Memphis, itself. Southern Avenue has varied and distant roots, but it’s beginning came from Israeli-born, blues guitarist Ori Naftaly. First arriving in Memphis as an International Blues Challenge contestant in 2013, Naftaly found a home. Opportunity presented itself when he met Gospel trained vocalist, Tierinii Jackson. Musical sparks flew immediately. With the addition of Jackson’s sister, rock-solid drummer, Tikyra, and jazz-influenced bassist, Daniel McKee, they were a touring force to be reckoned with. The newest member of the group is keyboardist, Jeremy Powell. An early alumnus of the Stax Music Academy, he comes trained in the rhythm, sound, and soul of Memphis. From Southern Avenue‘s very first track, “Don’t Give Up,” we were hooked. The simple guitar picking, hand-clapping rhythms had us wanting to clap along. This song would be as comfortable at a Friday night fish fry as it would at Sunday morning services. It’s a song with a simple, yet powerful message. If there were ever a moment in time when the message, “Don’t Give Up,” was needed, it’s now. “What Did I Do,” follows along nicely, with Jackson providing the voice of a no-nonsense woman, demanding to know what she did wrong. We’d bet our last shiny dime that every person, man or woman, can relate. Tierinii’s vocals are tenacious, and robust, reaching for the very rafters. “It’s Gonna Be Alright,” and “Wildflower,” both have a jazzy, Amy Winehouse type feel that Jackson nails impeccably. Naftaly adds a rock edge to, “No Time to Loose,” while “Rumble,” true to it’s title, will surely fill dance floors the world over. To say that their cover of the Ann Peebles classic, “Slipped, Tripped, and Fell in Love,” is spot on would be a misnomer. Southern Avenue give the song even more depth. Although Tierinii doesn’t emulate Peebles’ growl, she doesn’t have to. Her powerhouse voice is more than enough to breathe new life into another Memphis soul paradigm. Brilliantly produced by Kevin Houston, this album puts Tierinii’s voice out front, where it belongs. However, it’s not done to take anything away from the talented musicians backing her. Naftaly showcases his virtuoso guitar talents throughout. Tikyra’s beats are steady as a clock, with just enough fills to keep things interesting, while Daniel provides a funk-infused jazzy bottom to the mix. Jeremy Powell’s keys are pure River City soul and add the right flourishes at just the right times. 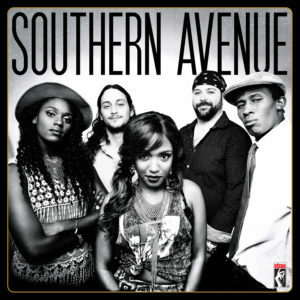 Special guests on Southern Avenue include Luther Dickinson of the North Mississippi Allstars, trumpeter Marc Franklin of Bobby “Blue” Bland, and Bo-Keys fame, and a younger Jackson sister, Ava, who provided backing vocals throughout the album. Even the name of the band, and the album, are a nod to The M. Southern Avenue, for those not in the know, is a street that runs from the easternmost city limits right up to Soulsville, USA, the original home of Stax Records. Our choice for favorite song falls squarely on the shoulders of “80 Miles From Memphis.” This blues ditty has everything. 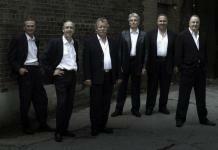 Beginning with Tikyra’s big band, swing beat, it evolves into a feisty blues shuffle. Lyrically, it’s exceptionally clever, hitting on a myriad of blues idioms, from “stones in my pathway,” and “ten dollars in my pocket,” to “my guitar on my back.” Speaking of guitars, the distorted, rockabilly solos, combined with the absolutely filthy slide, are stunning. What we have here, is a young, yet seasoned group of artists, who took everything Memphis has to give, rubbed their own magic on it, and are delivering it to us in a single serving. It’s not blues, soul, Gospel or R&B. It’s all of the above, blended in such a way to create its very own category. We’ve said before, “If Memphis music is a genre, this is it!” We stand, steadfast, by that statement.